Boca Raton is famously known as a retirement community, but the city’s younger residents are carving out a culture of their own. The words “Boca Raton” tend to instantly evoke images of retirees who spend their winters on the beach and pastel one-bedroom condos. But ask those who actually live in this South Florida city, and they’ll tell you the stereotypes about Boca don’t capture the reality of this multifaceted — and surprisingly youthful — place. When Dholakia and his brother were teenagers a little over a decade ago, they were eager to experience the independence a driver’s license granted them. Budding foodies, they started looking up local restaurants they could try out on their own. The top search result? Red Lobster. Today, the city has blossomed into a place where foodies, cocktail lovers and brewery explorers search for the next greatest thing. Some attribute the youthful side of Boca Raton with the growth of two universities within its city limits — Lynn University and Florida Atlantic University. 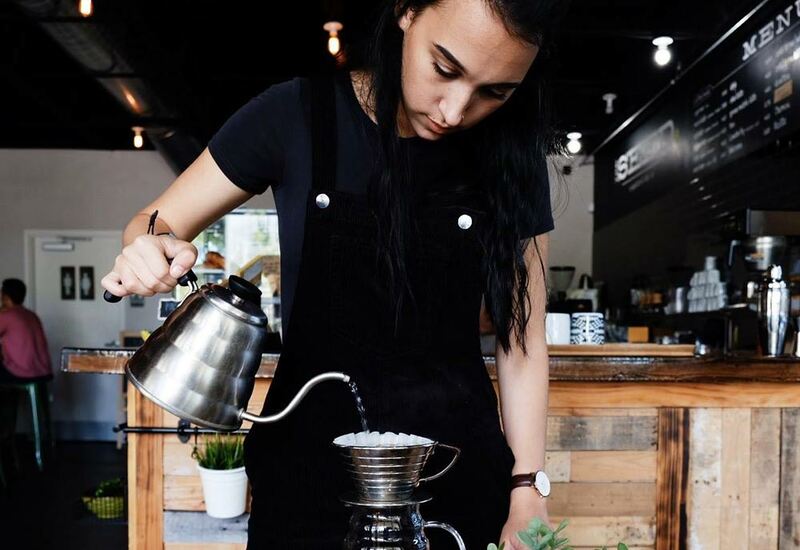 In recent years, Shake Shack draws coeds for a burger and milkshake between classes, and hip coffee shopsAllegro Coffee Company, R1, and The Seed are the perfect spots for a caffeine fix. Being in South Florida, the multicultural population demands world cuisine, and Boca offers plenty of fantastic options. Basilic serves up steaming bowls of Vietnamese pho, Cosa Duci Italian Bakery only sells oven-fresh goods, and the aptly named Argentinian Grill will transport you straight to Buenos Aires. Katherine Allen, 27, who moved to Fort Lauderdale in 2015 from New Jersey, said she was wary of the idea of taking a job in Boca Raton because she thought of it as a retirement community. One trip to the city, though, and her mind was changed. Allen lives with her fiance in the city, and the two enjoy trips to Mizner Park, the epicenter of Boca Raton, for dinners at Kapow! Noodle Bar or Max’s Grille. In the same plaza, a new noodle bar, Ramen Lab, has brought New York-style ramen bowls to the scene. A few blocks away is one of the hippest restaurants in town, Rebel House, a quirky hot spot for brunch (bar cart service!) as well as its famous flavored popcorn in lieu of a tired bread basket. If the bar scene is more your speed, live bands rock out at The Dubliner and the Black Rose Irish Pub, and Funky Buddha Lounge is a Boca Raton institution for its house-brewed beers, teas and hookahs (the brand has expanded to a full-size brewery further south in Oakland Park). But that’s not the only brewery that calls Boca Raton home — Barrel of Monks is hidden away in a corporate plaza, and Prosperity Brewers opened up shop just last year. One thing is clear: Red Lobster is no longer dominating the food scene here.